Here is an excerpt from the second of two of Mark Brooks’s columns in which he announces and briefly discusses his annual Sidney Awards. The first column appeared on December 24, 2010, and the second on December 28, 2010. The Sidney Awards go to some of the best magazine essays of the year. The one-man jury is biased against political essays, since politics already gets so much coverage. But the jury is biased in favor of pieces that illuminate the ideas and conditions undergirding political events. For example, there’s been a lot of talk this year about trying to reduce corruption in Afghanistan, Iraq and across the Middle East.But in a piece in The American Interest called “Understanding Corruption,” Lawrence Rosen asks: What does corruption mean? Our view of corruption makes sense in a nation of laws and impersonal institutions. But, Rosen explains, “Theirs is a world in which the defining feature of a man is that he has formed a web of indebtedness, a network of obligations that prove his capacity to maneuver in a world of relentless uncertainty.” So to not give a job to a cousin is corrupt; to not do deals with tribesmen is corrupt. Reducing corruption in Afghanistan is not a question of replacing President Hamid Karzai with a more honest man. It’s a deeper process. In earlier ages, people consulted oracles. We consult studies. We rely on scientific findings to guide health care decisions, policy making and much else. But in an essay called “The Truth Wears Off” in The New Yorker, Jonah Lehrer reports on something strange. I’ve been doing these awards for several years now. This was the richest year, with the best essays. 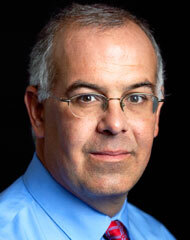 David Brooks‘s Op-Ed column in The New York Times started in September 2003. He has been a senior editor at The Weekly Standard, a contributing editor at Newsweek and the Atlantic Monthly, and he is currently a commentator on “The Newshour with Jim Lehrer.” He is the author of Bobos In Paradise: The New Upper Class and How They Got There and On Paradise Drive: How We Live Now (And Always Have) in the Future Tense, both published by Simon & Schuster.